Quasimoto, the cartoon alter-ego of hip-hop producer Madlib, is prepping an upcoming release titled Yessir Whatever. The album will be a compilation of b-sides and rarities, including 12 tracks recorded over a roughly 12-year period. 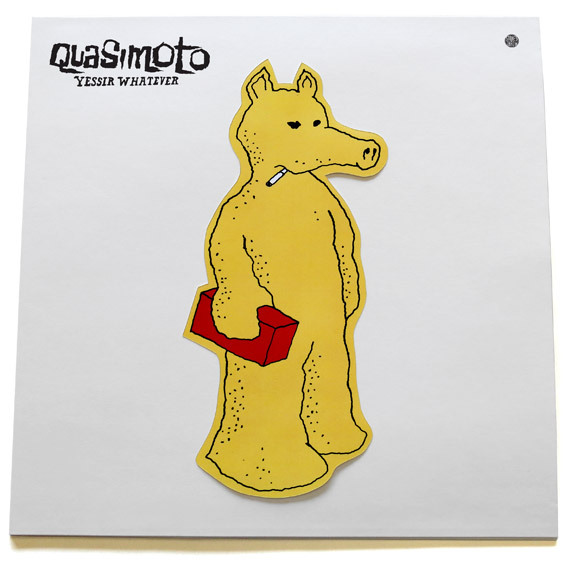 The LP & CD will “come with a peel-off cover sticker revealing Quasimoto’s guts,” while the LP will release with a bonus 7-inch single. Details on the album and pre-order goods can be found here, via Stones Throw‘s official website. …As for Quasimoto – usually represented by pen & ink with brick in hand – he has been many things over the years: rapper, cartoon, the poor-man’s Gorillaz, a toy, bad tattoo, internet meme. To all this Lord Quas might say, yessir … whatever. It’s all about the music. The first track released from the upcoming compilation is titled “Planned Attack,” and can be heard here, via Stones Throw’s Soundcloud page.